How good a boy or a girl have you been in the preceding twelve months is a question of utter importance to every Italian child on the eve of the 5th January every year. It is because, at the stroke of midnight and whilst everybody is fast asleep, a good witch called Befana visits only the children who have behaved themselves and leaves a stocking stuffed with candy and sweets by their beds. The ones who have been a bit of a terror only get a paltry piece of coal. 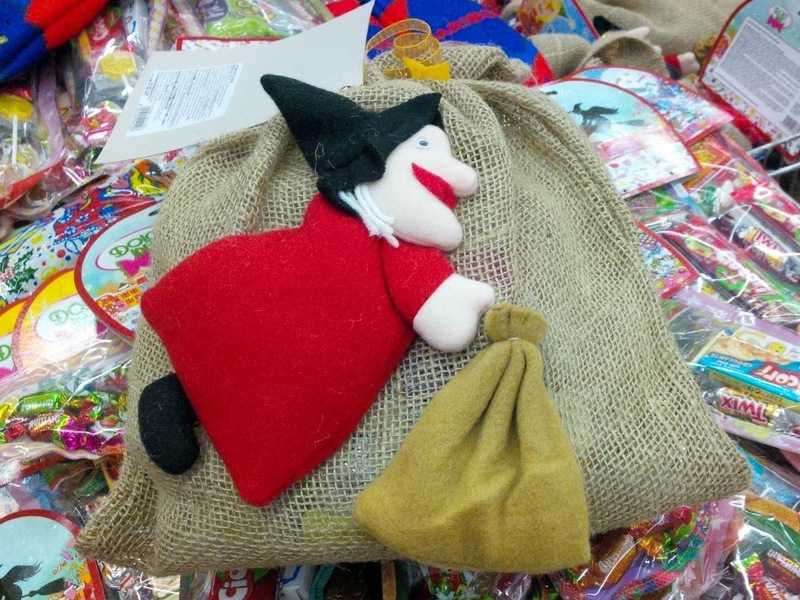 Befana has been visiting Italian children for centuries now. Long before Santa Claus came on the scene and even longer before he became the marketing tool of every advertiser’s dreams. Her story goes like this. Befana was cleaning her house, when the Three Wise Men knocked on her door asking for directions to reach the stables where Baby Jesus had just been born. She didn’t know, but she kindly provided them with accommodation for the night. In the morning the Three Wise Men invited her to accompany them on their journey. Too absorbed in her household work, she refused, but regretted it almost instantly. Befana wrapped a present and tried to catch up with the Tree Wise Men, but got lost and is still trying to find the way. So, every year, in the night of Epiphany, she leaves presents to children in her search for Baby Jesus. Who would have thought it?! Italy, a staunch Catholic country, has a gift-delivering good witch as one of its biggest and most well-known traditions?! In fact, I remember one of my school teachers, trying to explain the differences between the Catholic and the Eastern-Orthodox Churches, once very seriously stated that whilst the Eastern-Orthodox dogma absorbed the folkloric rituals and traditions of our Bulgarian land and thus remained close to the minds and hearts of the common people, the Catholic faith suppressed all popular and/or pagan beliefs and eradicated them. I took her words as truth for a very long time, until I started coming face to face with the very rich folkloric tradition of Italy and learning more about the local customs and even about the local varieties of fairies, witches and other magical creatures which, it is believed, still populate the dense forests and the steep mountains of the Northern Italian region of Veneto, where we currently live. All this is to show that sometimes the first-hand experiences you have in life are the best teacher and the best way to discover the truth for yourself. So, yesterday was a pretty big day here in Italy. It was not only Epiphany, when the Tree Wise Men reached the stables where Baby Jesus had been born and gifted him with gold, myrrh and frankincense. It was also the day when Italian children woke up early in the morning, eager to see if the good witch Befana had left them a stocking full with sweets. 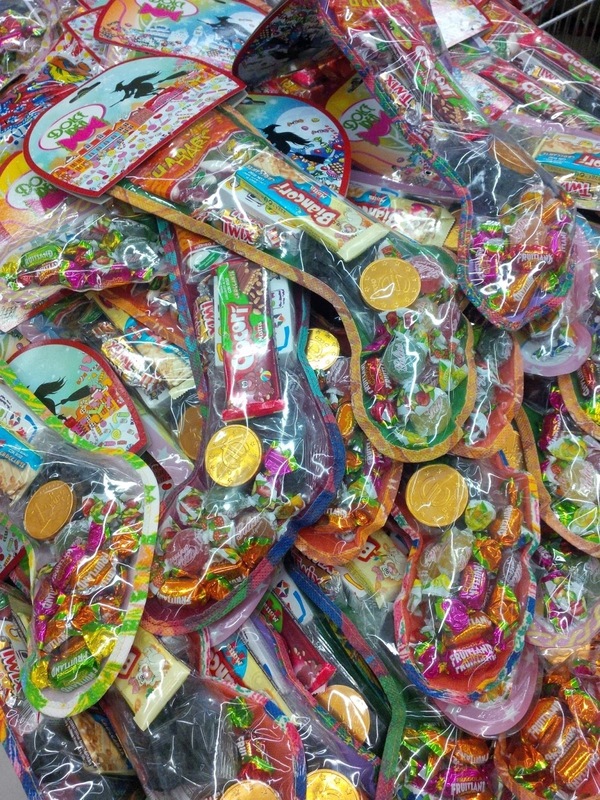 Since our return to Italy a few days ago after a two-week Christmas break in England, we have been spotting large and small stockings filled with candy and chocolates, sold in every supermarket and candy shop. I even saw this sign on several shops in Venice yesterday promising a big variety of sweets to stuff a stocking of any size. Doll-sized Befanas riding their brooms were hanging in shop windows and market stalls. 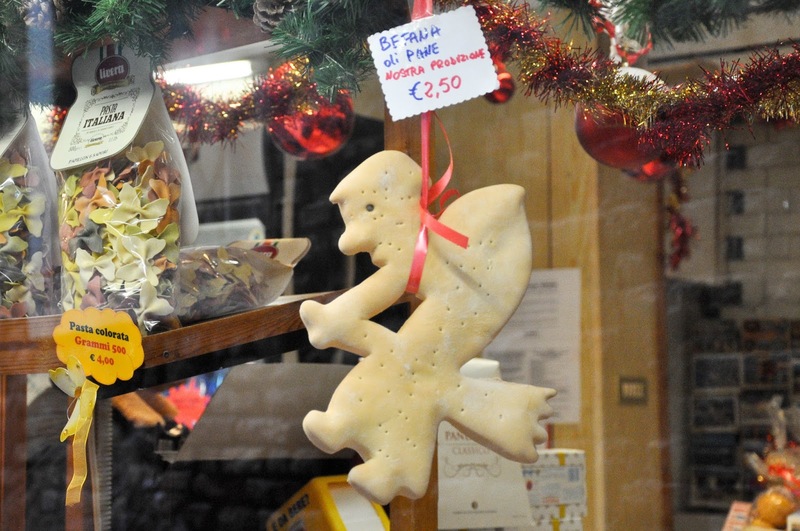 One Venetian bakery had even moulded its own Befana out of sweet dough. 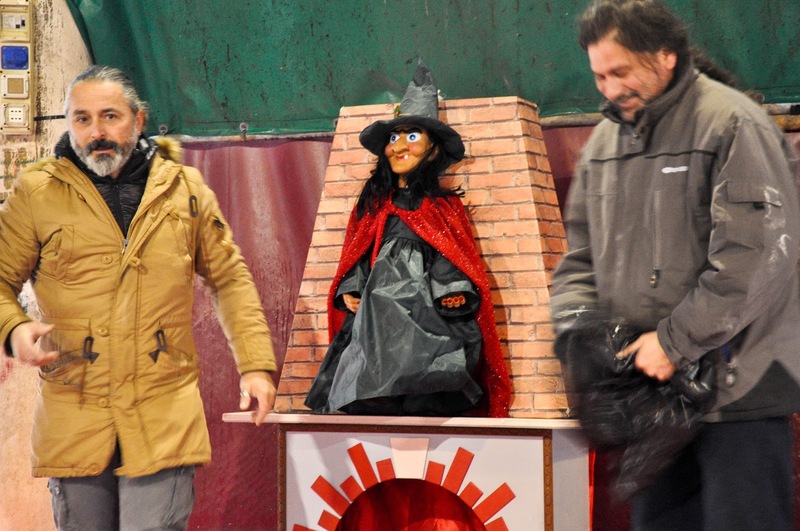 Befana-themed celebrations were organised in every village, town and city. 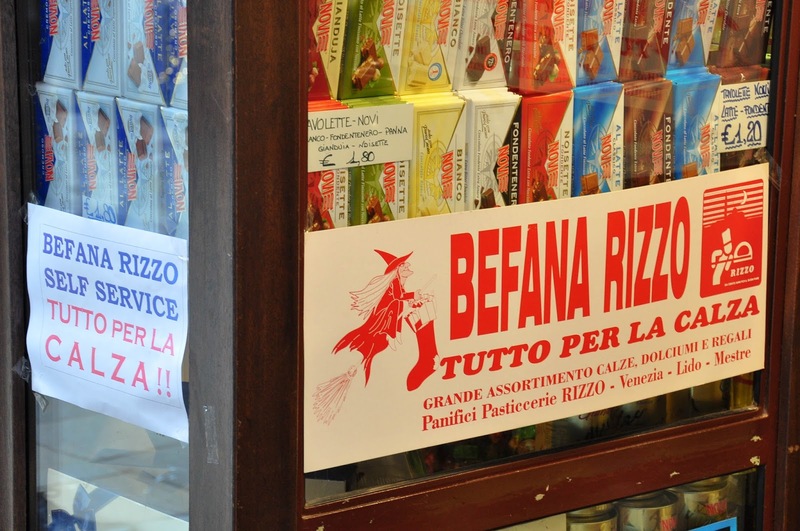 As I was walking around Venice yesterday morning, I came across a merry group of men and women who were setting up a Befana display in the big empty hall of the fish market which is one step away from the famous Rialto bridge. I asked them what was going on and they explained that they were getting ready for a celebration of Befana to start at 11 am when children would come with their parents to have fun and receive a stocking full of sweets. I made a mental note to pass by it later on in the day and see it all for myself. At the same time, I had another appointment to keep at 11 am. 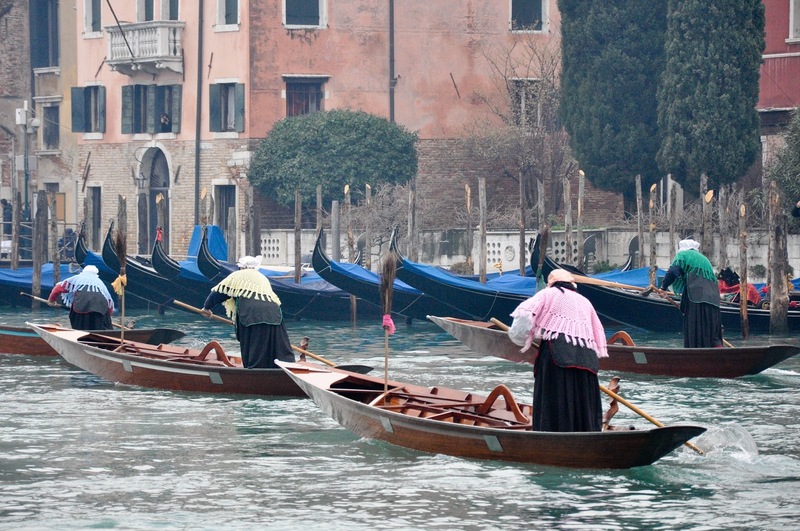 The famous Befana race was to take place on Venice’s Grand Canal. I had heard about it and didn’t want to miss it for the world. 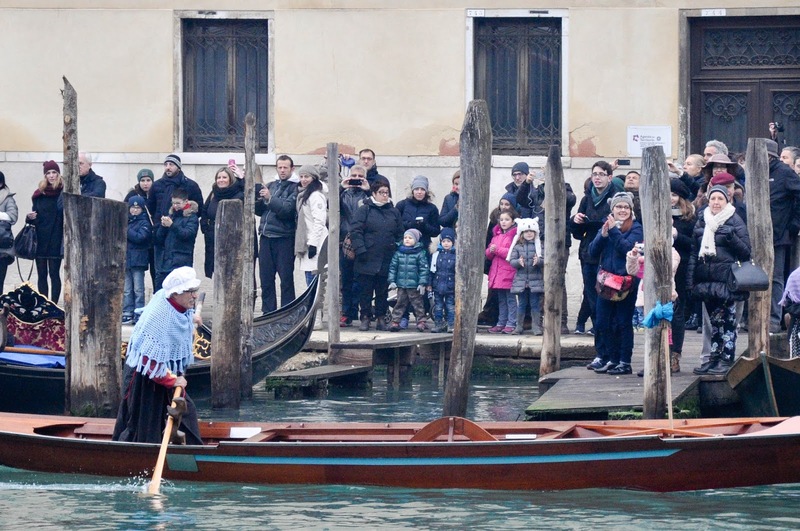 Apparently, men dressed as the good witch Befana race their little wooden boats with a broom sticking from the bow up the Grand Canal. I had visions of a grand Venetian regatta with dozens of boats taking part and for a few days this was the only thing I could think of. So, I got on the train from Vicenza early in the morning (yes, it was 8 o’clock, but it was still quite dark) and made the short journey to Venice. The flat as a pancake Veneto plain was covered by a thick fog. It all looked so mysterious! The perfect weather conditions to disguise a witch flying on a broom. My imagination was alight. At Venice Santa Lucia’s train station I popped into the Tourist Information office to ask where the Befana race would be starting from. The lady behind the counter pointed to a dot on the map, told me this was where ‘San Toma’ was and that the race would be leaving from there at 11 o’clock. 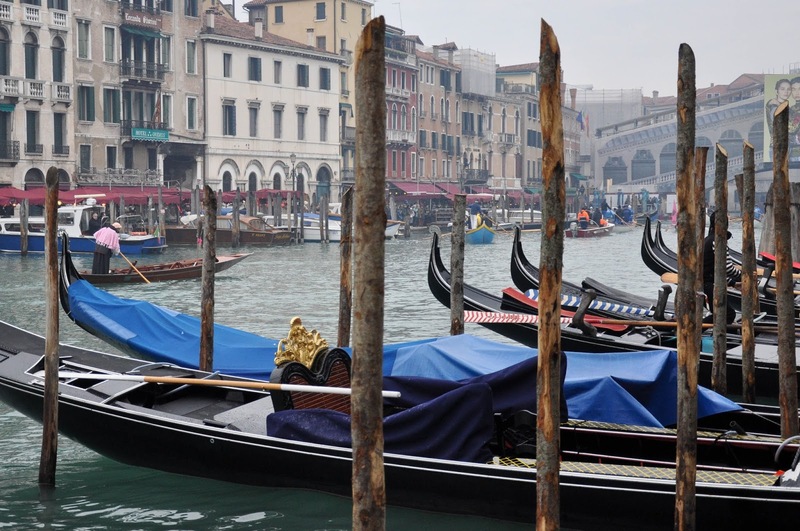 It was just further down from Rialto bridge, so I thought it would be easy to find. When I reached Rialto though, I noticed a little platform set up right at the foot of the bridge. People were milling on it, a man was providing a live commentary and several photographers and a videographer stood around visibly waiting for the event to kick off. So, I decided against walking down to San Toma and started searching for a little spot along the canal from where to watch the race. A small crowd had already started to gather up and all prime locations had long gone. 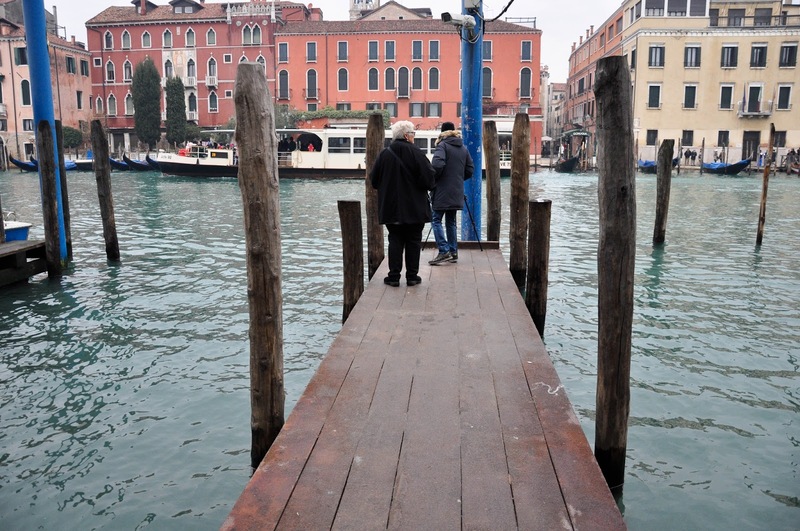 Like this narrow gondola quay which was jealously guarded by a serious photographer and his sidekick. Luckily, just a little bit further away from them, I found my own gondola quay, so I positioned myself right at the end of it, waiting for the race to start. 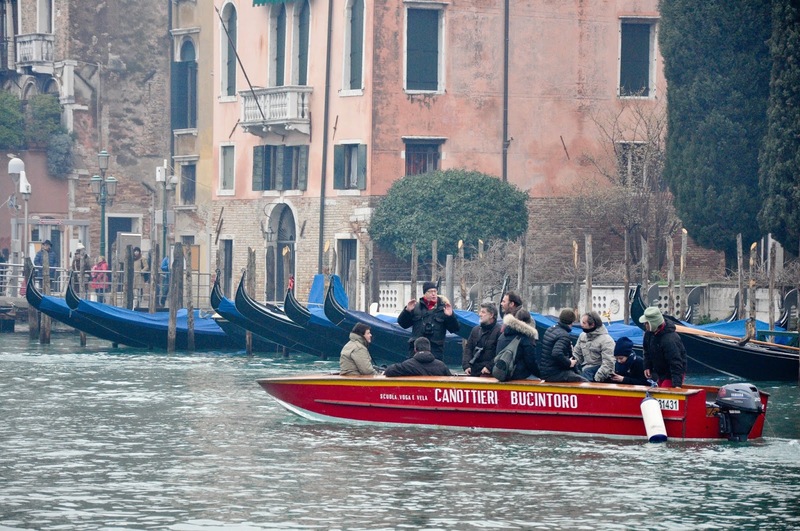 All of a sudden, a little wooden boat appeared and started making its way up towards Rialto bridge. A broom was sticking straight from its bow and a witch with a pink woolen shawl was rhythmically rowing the boat. Yay! I was excited. But also a bit perplexed, as it was still quarter to 11 am, so how come the race had begun, I thought? The crowd on both sides of the Grand Canal was now rather thick and I noticed that all members of the press were in a boat in the middle of the canal clutching their cameras tight. The live commentary went on and on for, what it felt like hours, padded by Vivaldi’s Four Seasons. 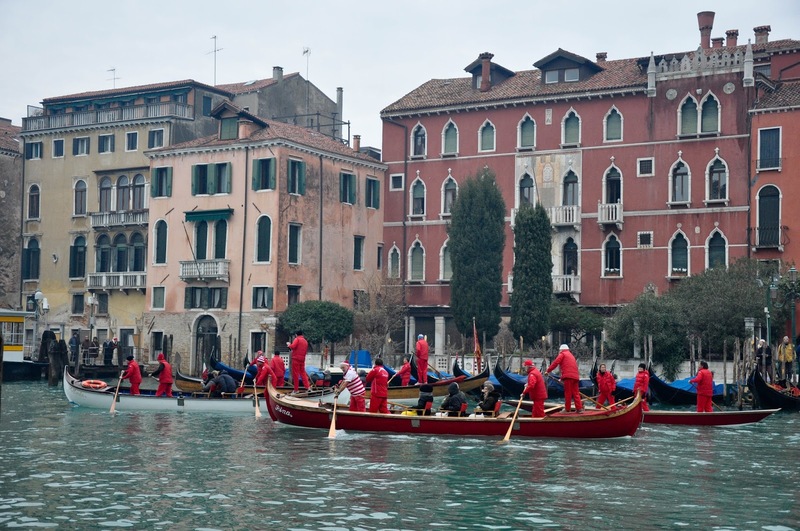 Four more Befanas in little boats appeared, followed by boats with men dressed in red suits and Santa Claus’s hats. 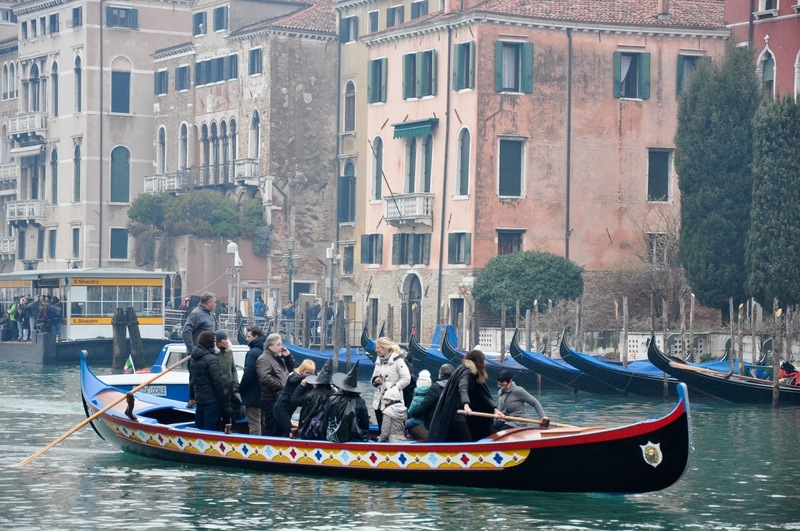 A large boat with men and women with black witches hats floated past, too. 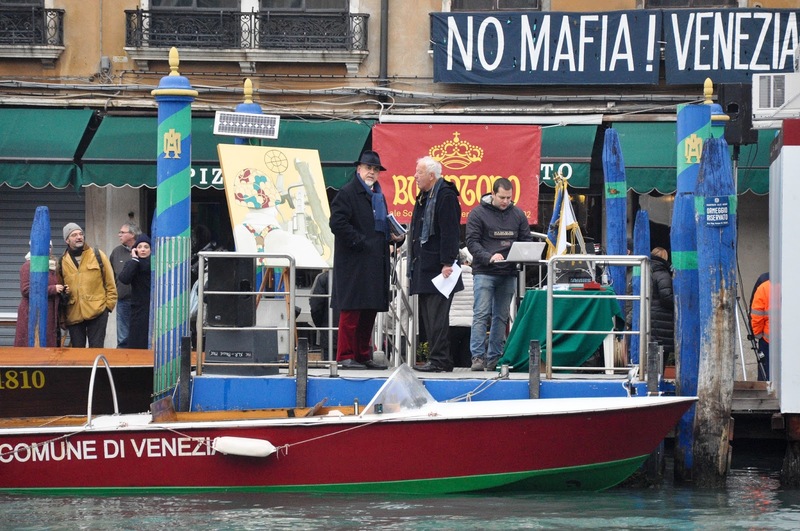 It was obvious this was not the start of the race, but why were they coming up to Rialto, when it was all supposed to begin further down the canal?! 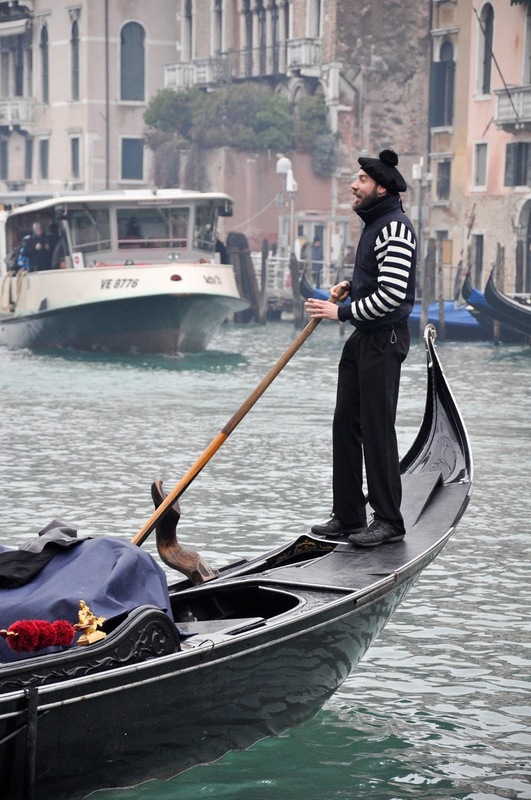 An Italian man standing next to me on the gondola quay asked me if I knew where the race would be kicking off from. In my best Italian (I was very proud of myself! ), I told him that I had been told the start point would be San Toma. He thanked me and walked off. 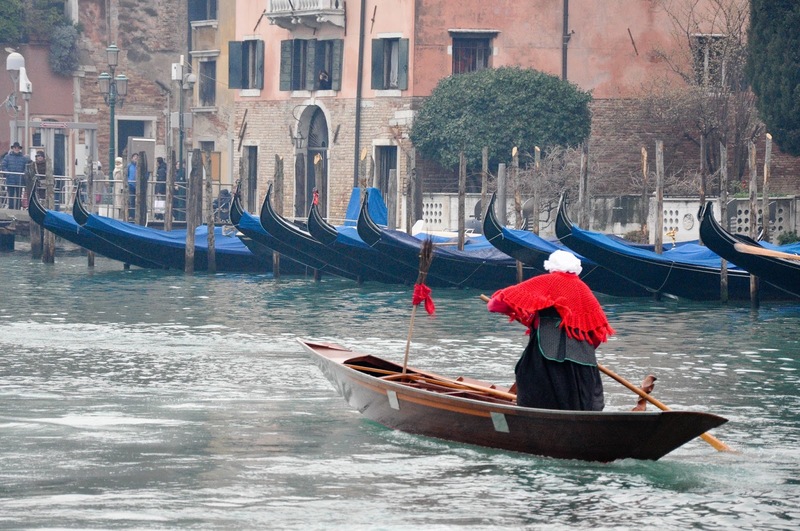 The Santa Claus’s boats rowed down the canal again. Five minutes after all this, the press members got very excited in their boat, pointed their cameras in the direction of Rialto bridge and started furiously snapping shot after shot. I looked up. 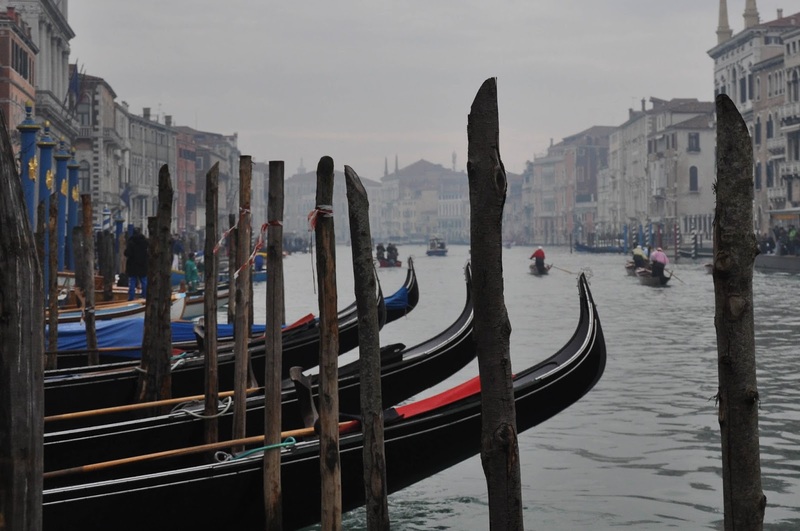 Five wooden boats, each with a Befana in, were rowing from Rialto down the Grand Canal. It was quite a fabulous scene. The big stubbly men (some with a moustache) wore a long dress with frilly sleeves and a thick woolen shawl. On their heads they had the cutest little bonnets. Each Befana was associated with a different colour – pink, blue, green, red and yellow – reflected by her shawl and the ribbon on her broom. The five Befanas rowed a bit down the canal, then made a U-turn and rowed up again. Blue Befana was leading the race and Pink Befana, having lost her bonnet, was tagging at the end. Right after all of them, glided the Santa Claus’s boats making the scene even more hilarious. 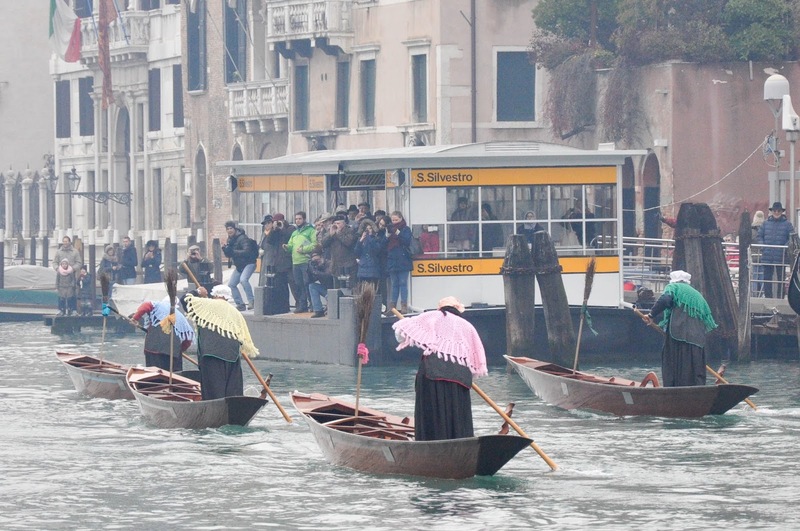 My narrow gondola quay was now tightly packed with people snapping pictures away and cheering the Befanas. A lady right next to me was taking selfies of herself and her boyfriend, waving and stretching her hands holding a smartphone above the water surrounding the quay. She was getting quite physical, so I took a tiny step away as the quay didn’t have railings and I didn’t have any desire to join the tiny fishes I had spotted darting in the deep water below. And that was the famous Befana race! Shall I be honest?! I was a bit disappointed. Yes, I had had some great expectations of a glorious regatta taking place, and reality never quite lives up to whatever one may have expected of it. 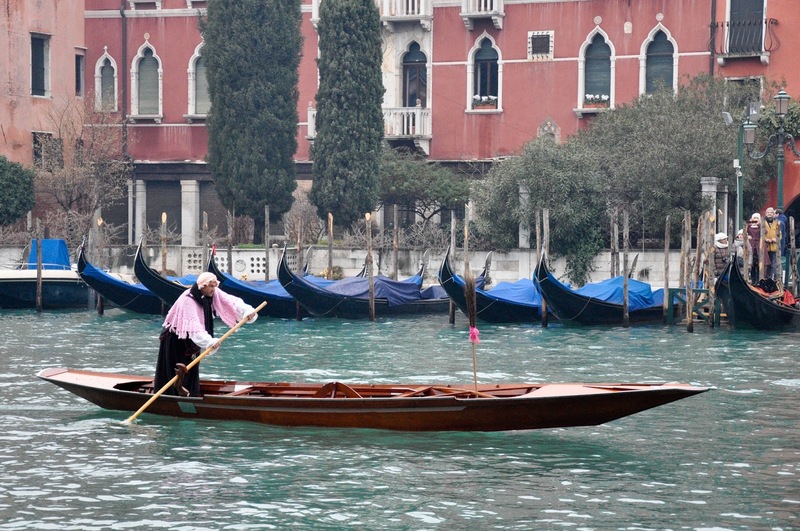 Still, all through the race traffic on the Grand Canal continued as usual, which meant that large vaporettos and nimble gondolas kept passing by obscuring the view and somehow detracting from the event. 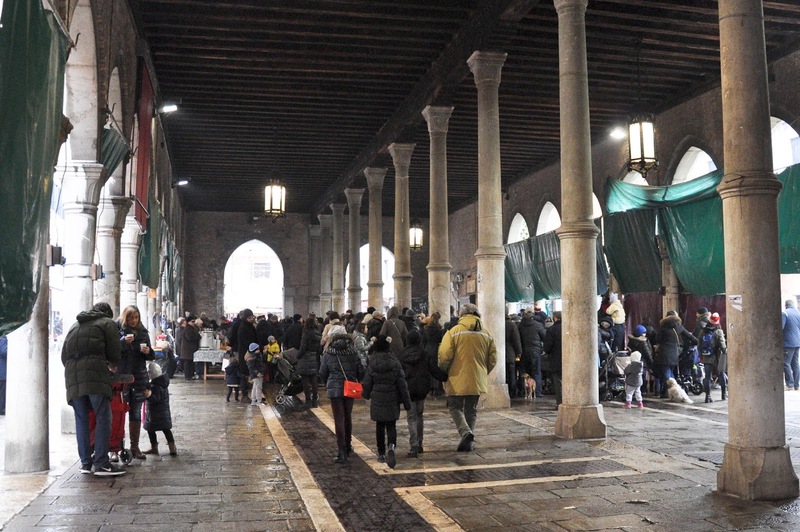 For me it was good to tick the Befana race off my Italian wish list, but, and again being completely honest, I was glad I hadn’t dragged my husband and my little daughter with me, instead leaving them at home to sleep late and then to enjoy a cozy day in Vicenza. On my way back to the train station, I passed by the fish market where the Befana celebration was in full swing. Kids were singing a song about the good witch and the chorus included a lot of ‘atchoos’ with the little ones shouting out loud each one of them laughing happily. Looking at the happy scene in front of me, I remembered how we celebrated Befana in 2015. 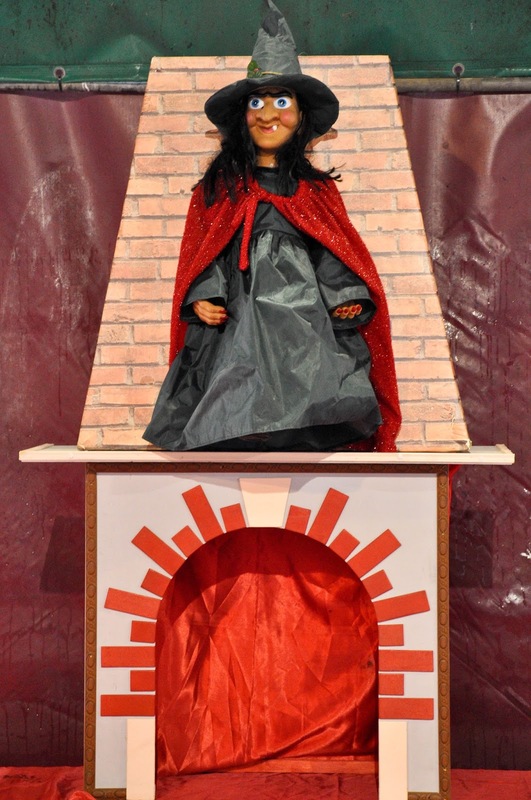 I had found online about a local theatre group performing ‘The Wizard of Oz’ in a community hall which was to be followed by a visit from Befana herself. So, we tagged along and sat through the performance in Italian clapping with the hundreds of exciting children and parents. Afterwards, Befana came on stage. She had a long nose and a scary-looking wart, but she was very kind and smiley and read a long poem about climate change and how we should love and take care of the environment. 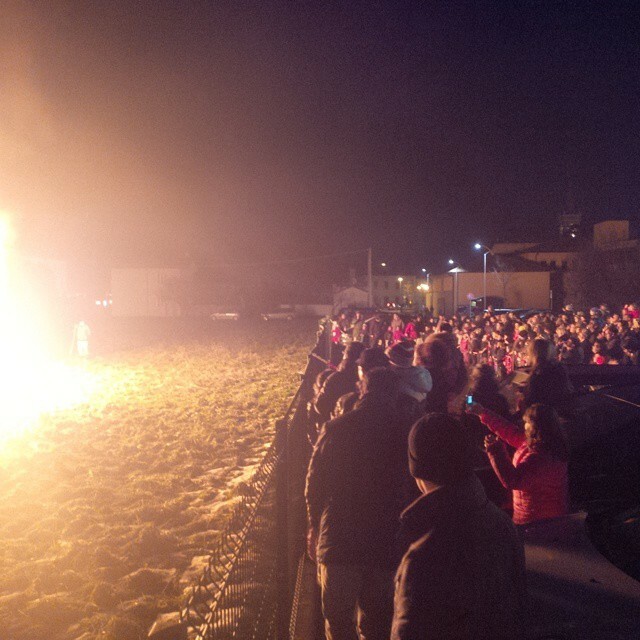 Then stockings with sweets were given to all children and when we went outside we saw a pyre on which Befana was burned. No, not the real one who had kindly given sweets to children only a minute before, but a huge effigy of her. The flames went high up in the night sky and I understood that by burning the witch people were leaving behind what was old and used and welcoming the New Year in. And that was rather pagan, but its symbology still spoke volumes in our world.